The Kintaikyo Bridge in Iwakuni, Yamaguchi Prefecture. 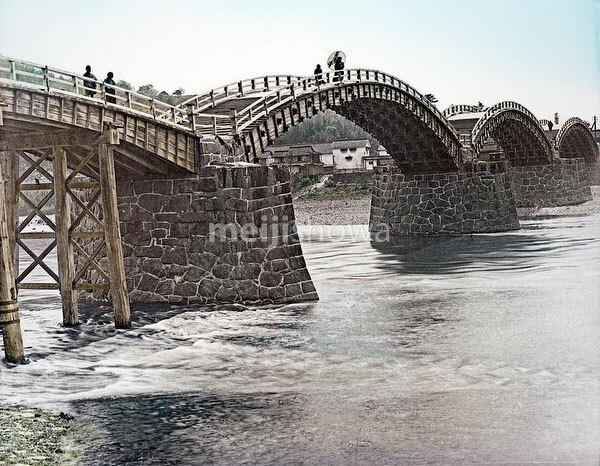 The bridge spans the Nishikigawa River, and was built in 1673. In 1922 (Taisho 11), it was declared a National Treasure.